As happened last year, Adam Lyth appears to be saving his best form for one-day cricket. He and David Willey tore into the Lancashire bowling and tore up the record books, as Yorkshire piled on the runs and the agony en route to another routine, limited overs triumph against the neighbours. Furthermore the visitors extended their hot form away from home and have placed themselves within touching distance of a knockout place in the One-Day Cup. However, the hosts did mount a tremendous run chase which saw them handily positioned at 218 for two just beyond the halfway stage. Then the wheels gradually came off their valiant pursuit, with David Willey reinforcing his outstanding performance with four wickets. 'Only' a home encounter with Northamptonshire stands between the Tykes and further progress in this competition. 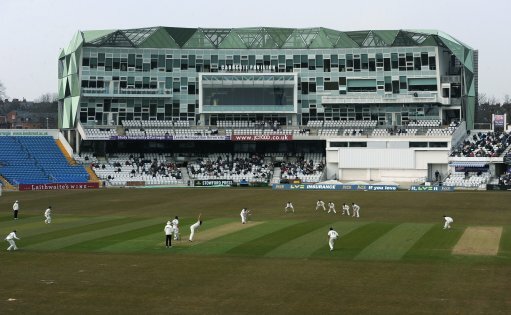 Lancashire versus YORKSHIRE; One-Day Cup; at Manchester; YORKSHIRE chose to bat. YORKSHIRE win by sixteen runs.